In a stunning defeat for medical providers across the state of Florida, a divided Florida Supreme Court on Thursday sided with Allstate Insurance Company in a dispute about fees paid to care for victims of automobile accidents. The 4-3 ruling focused on the personal-injury protection insurance program and attempts by Allstate to pay providers under certain fee schedules from the dated Medicare program. The fee schedules involve limits on payments for services rendered. 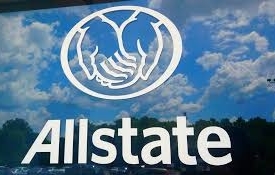 Medical providers challenged the archaic practice, arguing that insurance policies were “ambiguous” about whether Allstate would use the fee schedules to curtail reimbursements. The 4th District Court of Appeal, in a 2015 ruling that involved 32 similar and alike cases, backed the providers. 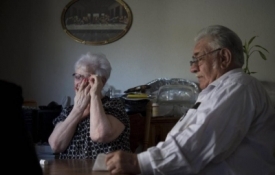 But the majority of the Supreme Court overturned that prior decision last month, finding that Allstate’s policies provided “legally sufficient notice” that the insurer would use the Medicare fee schedules. The unanticipated 15-page decision, written by Justice Charles Canady and joined three other Justices, provided a detailed analysis of the policy wording and the personal-injury protection, or PIP, law. Providers are not limited by the medicare fee schedules promulgated a long time ago and Allstate must pay according to those schedules. The complete article on this subject matter can be located at http://miami.cbslocal.com/2017/01/26/supreme-court-backs-insurer-on-pip-medical-fees/. 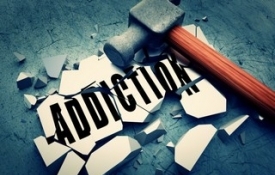 For more information on Florida personal injury litigation, please click on www.robertgluck.com/personal-injury.html. Mr. Gluck can also be reached toll free at 1-877-GLUCK-LAW. Opposition is mounting in the business community to proposed legislation that is being considered by the Florida legislature that would require Florida courts to include prejudgement interest in any final lawsuit award. 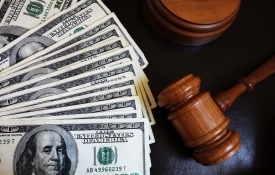 As it stands now, in all personal injury cases in Florida, a jury will award an amount of damages, and then interest will be added by the Court in its final judgment until the amount of damages payment is made in full. Senate Bill 334, introduced by state Sen. Greg Steube (R-Sarasota), will require a court to include prejudgement interest in an award from which the plaintiff recovers both monetary and non-monetary damages. It also requires a court to include that same interest on attorney fees and costs. The proposed legislation will effectively mean juries and courts would calculate, and add, all interest from the time of the loss. For more information on this, please see click here. For details on how you can preserve your personal injury rights check out http://www.robertgluck.com/personal-injury.html. You may also call the office directly, toll-free at 1-877-GLUCK-LAW. Florida Woman Falls Off Donkey Statue In Front Of Mexican Restaurant, Sues Restaurant For Damages A woman in Tallahassee, Florida has filed suit against a local Mexican restaurant after she fractured her spine falling off of the popular donkey statue in front of the local eatery. Kimberly Bonn was eating at the El Jalisco on August 31, 2015 when she attempted to climb up on the donkey statue that was built to scale. This is a popular event among the diners at the restaurant, according to Fox News. 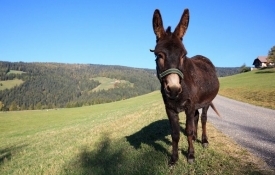 Click for details Bonn maintains the position that the restaurant failed to safeguard diners who attempted this feat by having the saddle with too slick a surface and by failing to provide steps or a ladder to climb up on the donkey, Bonn is seeking damages in excess of the circuit court minimum requirement of $15,000.00. For more information on premises liability or slip and fall actions, and a free case evaluation that you might have, please look on the internet for www.robertgluck.com/attorney/trip-slip-and-fall-accidents-attorney.html. You can also call the office toll free at 1-877-GLUCK LAW. The State of Florida is considering making changes to Florida’s car insurance laws that would change the PIP mandate and require drivers to carry bodily injury coverage instead. The current PIP mandate requires everyone to have their own insurance for most of their own medical bills, no matter who is at fault. The likelihood is that the PIP mandate will be replaced with a requirement that drivers carry bodily injury liability insurance to cover the bodily injuries of any motorist they injure as a result of a car crash that is due to their fault. Senators have been discussing this and are in favor of abandoning PIP, but only if it will lower the premiums that motorists are currently paying. Studies show that motorists could save $81 per year in the event that PIP is extinguished and no longer required. The entire article can be found here. 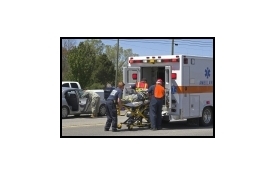 For more information on auto accidents please see RobertGluck.com and learn about what your rights are when involved in an automobile collision. 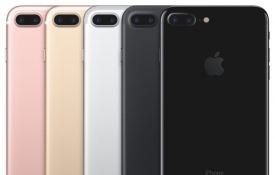 Class Action Lawsuit against Apple over the new I Phone 7 was filed last week Lawyers have pounced on Apple before the first I Phone 7 was even shipped and slapped them with a class action lawsuit. This lawsuit is over the rights of I Phone users in an upgrade program to have quick access to the new I phone per the promise Apple made to them when they joined the program. They argue they should have been able to get their new phones before everyone else. 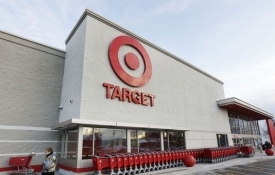 This is a perfect example to explain to you what happens in this and other typical class action lawsuits brought by lawyers for some small consumer related claim such as this. Usually a “named plaintiff” will file suit on behalf of themselves and all other “similarly situated” Apple customers also in the upgrade program. The logic behind this type of claim is sound. If all of the people in the upgrade program have the same issue, they should all be lumped together into one lawsuit. The problem is, this is not the type of case where a lawyer would make any money for the client or themselves for an individual claim. This is so because one person’s damages would amount to the emotional distress of not getting the phone quick enough and the right to a refund of the cost of the “upgrade program” due to Apple not following through on the promise to get these folks their phones first. This would be a $20.00 claim per person so no lawyer would take it. Now, with the use of the “class action” procedures, the first lawyer to file suit for one client can now add all 200,000 people or more who are “similarly situated” to the named plaintiff in the lawsuit. What ends up happening in these types of cases and what I predict will happen with this one is that each person who is a party to the class action will get a coupon for $50.00 or less towards a new phone or to use however they please and the lawyer who filed the class action will make a multi million dollar lawyer’s fee. Yes, you read that correctly. Typically, the net result of 99% of these types of class action lawsuits is a coupon that most people end up never even using and the lawyer makes millions in attorney’s fees. The only plaintiff that usually makes any money in these situations is the named plaintiff who is the first one to file suit. That is the reason this lawsuit was filed within days of the announced release. Thios lawyer wanted to be the first to file. This my friends is the American way. Apple shareholders will be the ones to pay the lawyer’s fees. One would think Apple has attorneys that would advise them that they better get these folks their phones first or the company would end up having to pay millions to a lawyer down the road in a silly and unnecessary class action lawsuit. Apple shares are doing just fine, based on the recent run up of the stock’s value so don’t worry about this lawsuit bringing them down. If you think you have a claim against a company for not doing what they promise and you also think that many others are in the same position as you, call me. We can talk about a class action suit. I can be reached 24 hours a day at 877 Gluck-law. When cars become truly Self Driving, Plaintiff’s lawyers may be out of work on non-catastrophic injury car accident cases.. That is the general consensus among the trial lawyers that I have spoken with. This is an accurate statement for many of us because there is a responsible party in a crash between two self driving vehicles. The problem is, that responsible party is likely going to be a manufacturer of one of the two vehicles or a company providing components for one or the other vehicle. This basically turns what is now a typical auto accident claim upside down. 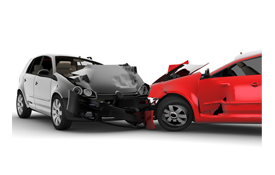 Currently, when a crash occurs and someone is injured, a determination is made as to percentages of fault, among all the drivers, and the injury claim is settled based on those percentages. In order to prove “fault” you simply have to show that the “rules of the road” that a typical driver understands and follows were violated or not followed in a particular situation. The party that failed to follow these well known “rules of the road” would have to pay money damages for injuries they cause. No expert witnesses or inspections of the vehicle are necessary to prove who ran the red light. You simply need eye witness testimony for that, or maybe even a camera with footage of a crash. Once a car becomes “self driving”, the person sitting behind the steering wheel, if he is not in control of the vehicle, is not responsible for damages caused in a crash. To hold a party responsible, you must show they were in “control” of the vehicle when the crash occurred. As an example of this issue, if I owned a retail space but rented it out to someone else to run a yogurt shop and pay me rent, I would not be in “control” of the property so that I would not therefore be responsible for the way the store is maintained if someone slipped and fell in the store. The tenant is responsible if, for example, someone spills a drink on the floor that sits there for too long and you then fall and get hurt from slipping on it. Just like a fall that happens when you are not in “control” of your property, if the vehicle is “self driving” it is just as if you were renting out your car to someone else to drive for you. If you are not in “control” of the driving decisions, and a computer is actually making those decisions for you, then it is the computer and it’s manufacturer, as well as the company that installed it in your car, as well as the car dealership, as well as the car manufacturer, as well as the component manufacturer for your car and for the other car involved that may all be responsible if you are injured in a crash. 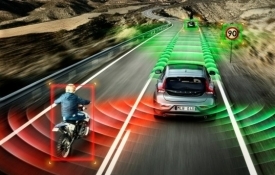 Experts in accident reconstruction and computer engineering will now be needed, along with a products design and product liability expert, just to bring a successful injury claim. Unless there is a significant injury involved, most lawyers will never dedicate the time and money necessary to prosecute one of these claims. In the near future I can foresee many minor or non incapacitating car crash cases going by the wayside with many lawyers turning them down and not being willing to spend the time or money necessary to prove which product is liable or which machine is responsible for the crash. The machine in this case is a computer and now a jury or judge may have to decide which machine made the mistake. Don’t forget the possibility of a design flaw so we would also need to bring the engineers into the picture. I hope to be retired by the time we all have self driving cars. I give it 15 more years before we are ready to read a newspaper in the front seat while our car drives us from place to place. Until then, keep your eye on the road and your hands on the wheel. If you don’t, and a crash occurs, for at least another twenty years or so, you can reach me 24 hours a day by dialing 877-Gluck-Law. 0 What do I do if I have an injury from a car accident? 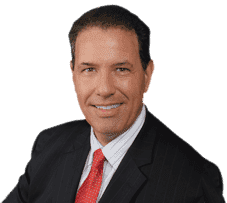 Fort Lauderdale Car Accident Lawyer, Plantation Car Accident Lawyer and Naples Car Accident Lawyer Robert Gluck explains what you need to do if you have permanent injuries from a car accident.